Something seems wrong about dealing poker out of a 6-deck shoe. As much as I like anything arcane and anything gambling, while this is both, it may be too much even for me. Amazingly, my relatively close Santa Ysabel Casino has both Texas Shootout and Mini-Tex. I’m sure I’ll end up playing this game sooner than later, so I made a cheat sheet from the Wizard’s analysis to use at the table. I just sorted the 2-card hand EVs in a “table” that’s easy to use. The table ranks the hands by EV, from top to bottom, left to right in descending order. 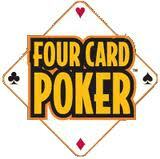 You use the table to select the best 2-card hand from the four cards you’re dealt. If you can make a second +EV hand, you should “split” and bet it as well. I put some reference marks for the hand EVs, to give you an idea of the hand strengths. You don’t make any decisions after selecting your hole cards. You just make one Ante bet, and you win even-money if you beat the dealer’s hand. Otherwise, you lose (dealer wins ties). Hopefully, they deal the flop, turn, and river separately. It’s be pretty boring if they just dealt the 5-card board all at once. When this game was dealt in Washington you were dealt cards and split them into two hands if you wanted to or you could stick with one hand. Just an FYI. In Missouri (well, Kansas City, anyway) at the two casinos that offer it, they just flip all five over at once. People seem to love it, however: it’s a pretty wild game and can be a lot of fun at times. I played it today, and I really enjoyed it. The game can best be described as “Poker Blackjack”. You make a single bet, and play vs. the dealer for even-money. Everyone gets 4 cards, selects their 2-card playing hand (and perhaps to split the hand and play two bets), and tucks their cards under their bet. The dealer then turns up his 4 cards, and selects his 2 card hand with the “house-way” rules. They deal the 5 card board all at once. I actually prefer it this way, because it’s a fast action game like blackjack. 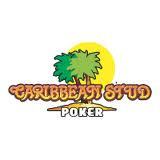 If you flat bet the minimum each hand, the game is extremely mild and cheap. If you vary your bet, it plays a lot like blackjack, without the frustration of busting. Maybe it feels more like an educated coin flip. If you ever get the chance to play it, try it out! This game is also offered in Bucky’s (Prescott, AZ), exactly as you said like a blackjack poker: 6D and the procedure is the same (except that they burn 1 in every 4 cards). I’m wondering if the sidebet is beatable…..maybe just theoretically (like the 21+3 sidebet in regular bj) some player advantage can be gained in flushes (when the suits are very unbalanced) or in pair or trips (when rank is unbalanced).